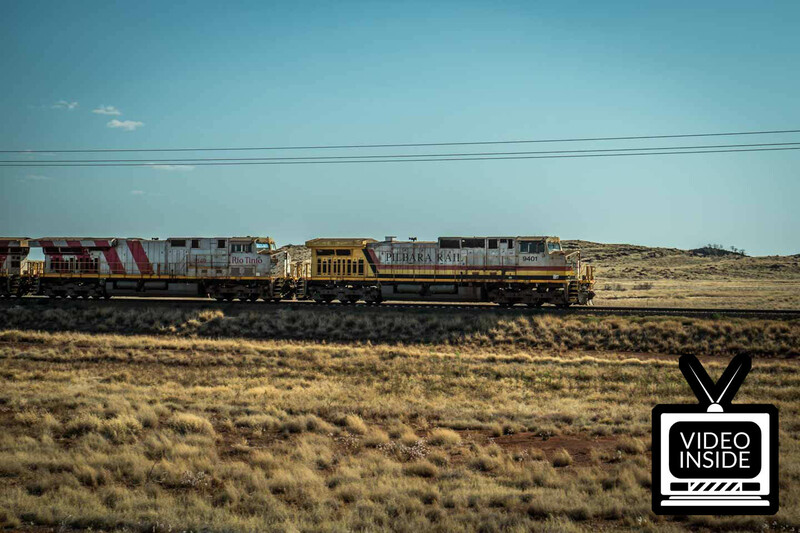 Here's a travel recommendation you will not find in the Lonely Planet: the Rio Tinto Rail Access Road between Dampier and Tom Price. 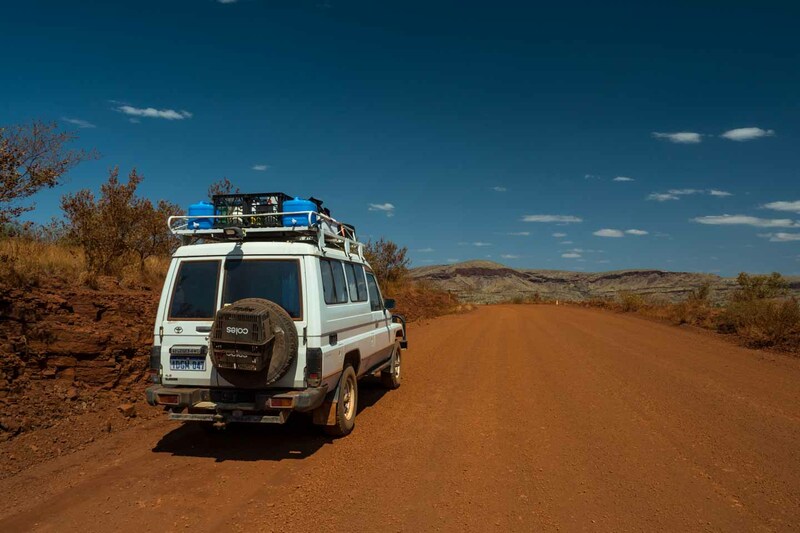 If you think about visiting the shire of Pilbara this gravel road is a great way to get away from the beaten tracks. Instead of taking the State Route 142 either way from Karratha to Tom Price, we can really recommend to consider the Rio Tinto Access Road as an alternative route. There are heaps of travel guides on Australia who will most likely give you almost the same travel recommendations. Somehow we meet a lot of people, who are doing nearly the same routes. Having only a limited period of time most people stick to the major attractions. With more time and no schedule Nico and I are always willing to give an extra effort to travel the non-typical ways. We like to look behind the scene and are always keen to see the bigger picture. This way we get to know places which are totally untouristy, nevertheless breathtaking and unforgettable. 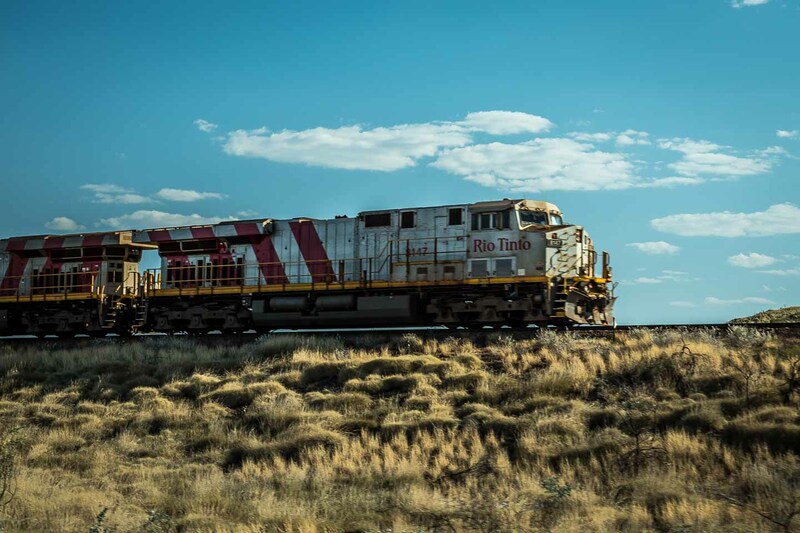 To give you a first impression of this travel tip, we have uploaded a short sequence showing a Rio Tinto train passing by. The Rio Tinto Group is a multinational metals and mining corporation, which is nowadays among the world leaders in mineral extraction such as aluminium, iron ore, copper, uranium, coal and diamonds. The Rio Tinto rail network is the largest privately-owned rail system in Australia. For reasons of maintenance each railway has a parallel running rail access road. Most of them are gravel roads or 4WD tracks but kept in good condition. 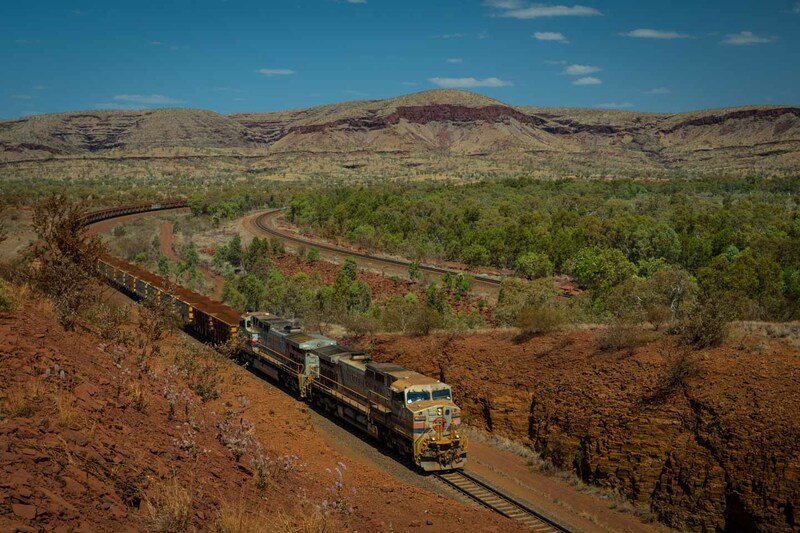 The picture above shows a Rio Tinto iron ore train hauling 234 wagons! To be a little more specific for the train enthusiasts out there, it is the locomotive 9401-Dash 9-44CW. The braking distance of a train of this seize is unfortunately so long, that most of the time it is to late to stop for any kind of obstacle or animal. We have seen quite a few cattle on the side of the railway, which haven’t had a good ending. Although we felt sorry for the animals, the train itself is really impressive to see. I’m usually not a railway enthusiast. But watching the longest and most powerful train I have ever seen was quite a spectacle. 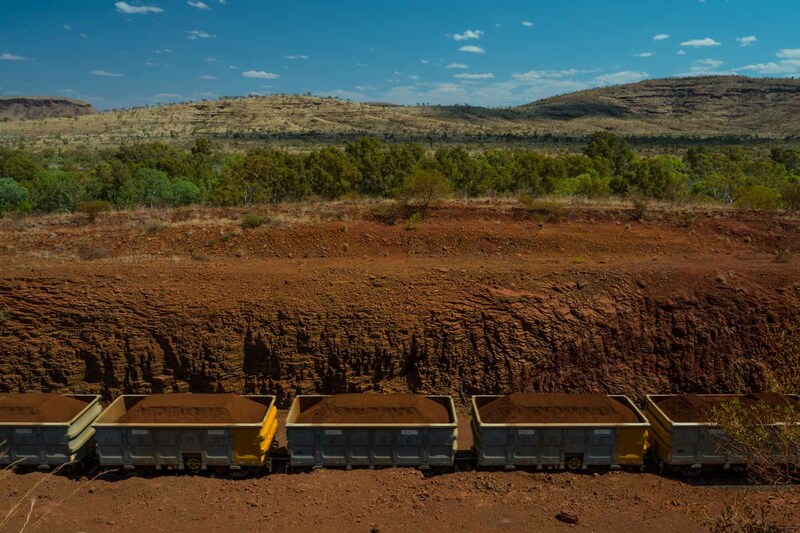 Fully loaded with iron ore, groaning and causing a great stir, it was making its way through the Pilbara. To travel the Rio Tinto Access Road you are in need of a permit. 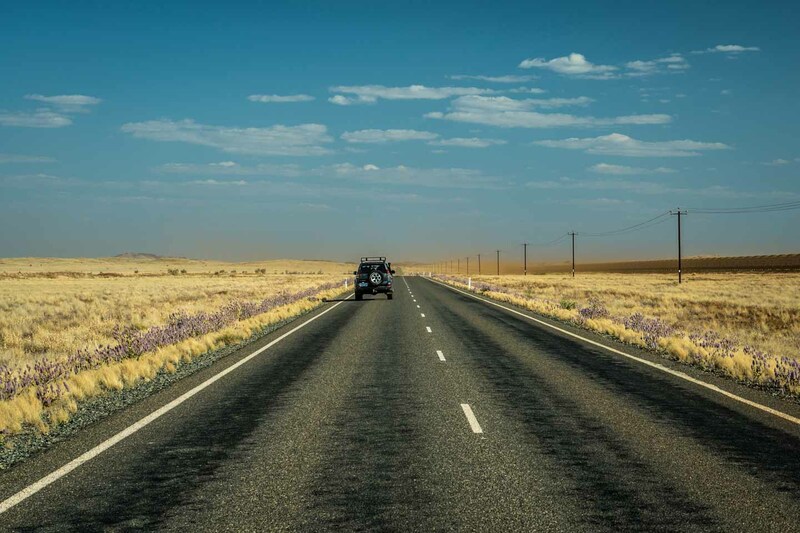 Due to the gravel road and oversized road trains, which might occur, the driving conditions can sometimes be challenging. With the permit the Rio Tinto Group wants to make sure, travellers are acknowledging the safety issues and utilizing the road on their own risk. The permit is valid for 30 days and is available at the Karratha Visitor Centre, Roebourne Visitor Centre, Tom Price Visitor Centre, Pannawonica Library or online. To acquire the permit you have to watch a short movie talking you through all risks and safety issues. You can get all information about the permit on the Karratha Visitor Centre Website. There are a few points, which make the Rio Tinto Rail Access Road so special. First of all, it is quite unknown among travellers. This makes it a unique experience and not a packed touristy happening. You will not have to deal with too many cars on the road. 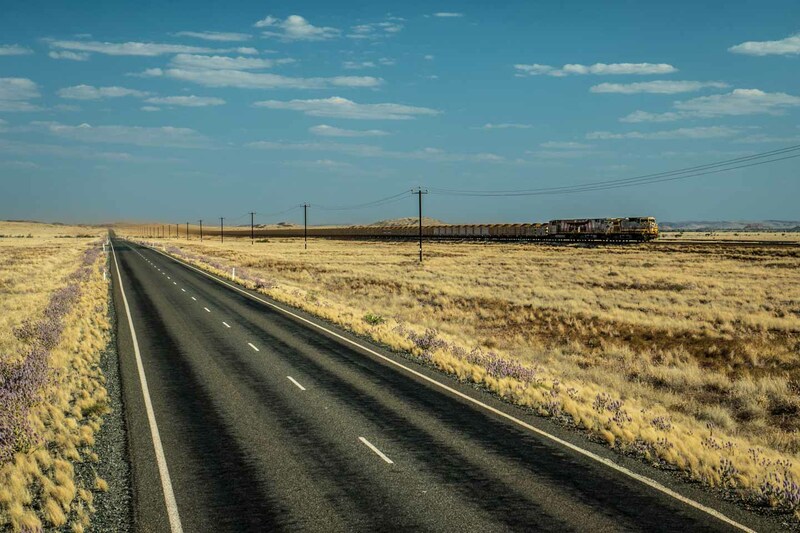 Instead you can enjoy the view of the beautiful nature of the Pilbara or a passing train while standing aside the track. You will be in need of a 4WD to travel along the gravel road, which makes a huge part of the track. This itself can be quite adventurous if you are not used to it. To cut a long story short: go and explore this beautiful way through the Pilbara yourself! Although you might have the feeling it will be an issue to get a permit for the Rio Tinto Rail Access Road, it’s not! After watching the safety movie, you will get the permit straight away. The staff of the Visitor Centre might try to talk you out of it, as they did in our case, but if you feel comfortable and safe driving on a gravel road, it is a once in a lifetime experience.